Engineering Letters is published with both online and print versions. The journal covers the frontier issues in the engineering and the computer science and their applications in business, industry and other subjects. The subjects covered by the journal include artificial intelligence, bioinformatics, computational statistics, database, data mining, financial engineering, hardware systems, imaging engineering, industrial engineering, internet computing, networking, operations research, scientific computing, software engineering, and their applications etc. Prof. Juha Roning (1957) has been a member of faculty of the University of Oulu from 1983, where he is currently Professor of Embedded System and Head of the Department of Electrical and Information Engineering. He obtained the degree of Doctor of Technology in 1992, Licentiate in Technology with honors in 1985, and Diploma in Engineering (MSEE) with honors in 1983, all at the University of Oulu in Finland. He is principal investigator of the Intelligent Systems Group (ISG). In 1985 he received Asla/Fullbright scholarship. From 1985 to 1986 he was a visiting research scientist in the Center for Robotic Research at the University of Cincinnati. From 1986 to1989 he held a Young Researcher Position in the Finnish Academy. In 2000 he was nominates as Fellow of SPIE. Professor Roning has two patents and has published more than 150 papers in the areas of computer vision, robotics, intelligent signal analysis, and software security. His main research interests are in intelligent systems, especially mobile robots, machine vision, and software security. He is a member of SPIE, IEEE, International Society for Computers and Their Applications (ISCA), Sigma Xi, Finnish Pattern Recognition Society, and Finnish Artificial Intelligence Society (FAIS). its application to system modeling, performance analysis, performance evaluation and optimal resource allocation for mobile wireless communication networks, multimedia communication networks, traffic systems, stochastic systems and information systems, optimization problems in the Markov decision processes, systems engineering and operations research, information systems, stochastic processes, networks optimization, learning networks, applications in multimedia networks, databases and distributed Systems, Web operating systems, etc. Prof. Yue has published more than 130 journal papers and international conference papers, and 5 books (as a co-author), including papers in IEEE Trans. on Communications, IEEE Journal on Selected Areas in Communications, IEEE Trans. on Vehicular Technology, IEICE Trans. on Communications, IEICE Trans. on Fundamentals of Electronics, Journal of Communications and Computers, Journal of Telecommunication Systems, Journal of OR Society of Japan, Journal of International Trans. in Operational Research, AIMS Journal of Discrete and Continuous Dynamical Systems-Series B, AIMS Journal of Industrial Management and Optimization. Prof. Yue is member of Editorial Boards of several journals. Prof. Trong Wu obtained his Ph.D. degree from the University of Louisiana at Lafayette, 1982. 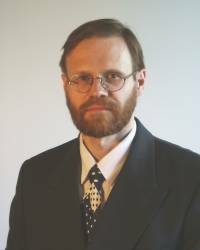 He has been with the Southern Illinois University Edwardsville, from 1986 to present, firstly as assistant professor, then associate professor, and now professor. He has been visiting associate professor of the University of Illinois at Urbana-Champaign, 1992-1993. HIS RESEARCH INTEREST: Petri Nets; Simulation and Modeling; Data Mining; Computer and Network Security; System Reliability; Numerical and Statistical Computation; Software Engineering; Computer System Performance Evaluation; Ada Programming Language; Rough number and Granular Computing. Dr. Frederick Crabbe received an A.B. in Computer Science and Philosophy from Dartmouth College in 1992. He received his M.S. and Ph.D. in Computer Science from the University of California at Los Angeles (UCLA) in 1996 and 2000. Since 2000, he has been on the faculty in the Computer Science Department at the United States Naval Academy, as an Assistant and now Associate Professor. His research interests include robotic modelling of animal behavior, robot planning, and artificial intelligence robotics education. Dr. David Camacho is an Associate Professor in the Computer Science Department at the Autonomous University of Madrid (Spain). He received a Ph.D. in Computer Science (2001) from Universidad Carlos III de Madrid for his work on coordination of planning heterogeneous aggents to solve problems with information gathered from the Web. He received a B.S. in Physics (1994) from Univesidad Complutense de Madrid. His research interests include multi-agent systems, Distributed Artificial Intelligence, Web Service technologies, Knowledge representation, automated planning and Machine learning. He is the managing editor of the International Journal of Computer Science & Applications (IJCSA). He has been selected as a chairman and member of the organizing committee for several international conferences. Dr. Khaldoun Tahboub has been the Chairman, Industrial Engineering Department, University of Jordan, Amman, Jordan, during the periods of September 2004 - September 2005, September 2002 - September 2003, and September 1996 - September 1997. He is also the Director, Computer Integrated Manufacturing (CIM) Lab, 1993 �V present. Dr. Tahboub has obtained his Ph.D. degree in Industrial Engineering, June 1992, from Lehigh University, Bethlehem, Pennsylvania, USA. His areas of research interest include: Automation and Robotics; Design, Analysis, and Continuous Improvement of Production Systems. Dr. Dobrila Petrovic received BSc and MSc, both in Mathematics/Computer Science, from the University of Belgrade, Yugoslavia, in 1986 and 1991, respectively, and PhD in Engineering, from the University of Warwick, UK, in 1998. She is a Reader in Optimisation and Control at Faculty of Engineering and Computing, Coventry University, and a member of the Control Theory and Applications Centre (CTAC). Prior to this, she worked as a Senior Researcher in Mihajlo Pupin Institute, (an R&D institute), in Belgrade, Yugoslavia. She has published over 15 papers in distinguished scientific journals, and over 60 papers in proceedings of international conferences. Her main research areas are: treating uncertainty by means of fuzzy sets in various applications including inventory and production management and control, supply chain management and control, spare parts control; production scheduling; forecasting; hybrid optimisation and simulation models for inventory and supply chain management and control problems; multicriteria decision making; biomedical computing. Dr. Petrovic has acted as a member of more than 10 programme/refereeing committees of international conferences. Dr. Longbing Cao has 16 years of academic experience in electronic engineering and computer sciences, and of industrial experience and leadership in telecom and capital markets. He targets interdisciplinary and cross-disciplinary research and development in complex systems and intelligent sciences, business intelligence and real-world data mining, integration of multi-agent technology and data mining, etc. In his research, he published more than 40 refereed international conference and journal papers; published three books, and one ongoing monograph by Springer on engineering open complex agent systems; served as PC members for around 10 international conferences such as AAMAS05; served as team leader and coordinator to lead/coordinate some big cross-organizational research projects. In the industry, he has: Coordinating the data mining projects at Australian Capital Market Cooperative Center, targeting domain-driven real-world data mining at capital markets; Acted as Chief Technical Officer in a high-tech BI company in China for three years, developing Business Intelligence/Data Mining/Customer Relationship Management services and products for telecom and public services; Led to win some big world-wide bidding contracts. Dr. Nasser Jazdi received his Diploma (M.S) and Ph.D. in 1997, 2003 respectively from the University of Stuttgart, Germany in Electrical and Computer Engineering. He joined the Institute of Industrial Automation and Software Engineering (IAS), University of Stuttgart as Assistant Director and lecturer in 2003. His areas of research interest include: Web-based Maintenance and Diagnosis of Embedded Systems, Component based Software Development of Embedded Systems, Agile Methods of Software Development, Soft Computing and Software Engineering. Dr. Jazdi collaborates with many industries including Bosch GmbH, DaimlerChrysler AG, ads-tec GmbH and WMF AG. He is responsible for a research and teaching cooperation between University of Stuttgart and UFAM (Universidade Federal Do Amazonas), Brazil since 2002. Dublin in 1996 majoring in Biochemistry, and also the H.Dip. (Comp.Sci) in 1997 from University College Dublin. Dr. Abdesselam Redouane received his PhD in Computer Science from the University of Manchester in UK. Currently, he is faculty of Computer Science at Al Ghurair University, UAE, where he is active in enhancing the Computer Science program and teaching state of the art courses. Before joining Al Ghurair University, he worked at the University of Annaba, Algeria, and Mid Sweden University, Sweden. Dr. Abdesselam has many years of North America industrial experience where he designed and developed software from wireless to reservation systems and this at corporations like BitFlash and Air Canada. His research interests include formal methods, e-commerce protocols, game semantics and object oriented specification languages. Dr. Siddique has been a Lecturer in School of Computing and Intelligent Systems, University of Ulster at Magee, UK since 2001. Prior to that he was with Computer Science and Engineering Discipline, Khulna University, Bangladesh since 1991. He received his PhD in intelligent control from the University of Sheffield, England. His research interests relate to intelligent systems, computational intelligence, perception-based system modelling, evolutionary robotics and neuro-fuzzy-evolutionary hybrid techniques. Applications of the research include control systems, robotics, pattern recognition, vision systems, and signal processing. Dr Siddique has published some 50 journal/refereed conference papers, book chapter and book. Dr. Olaf Drogehorn got the position of an assistant professor (C1) at the University of Kassel after receiving his Ph.D from the Universities of Duisburg. There Dr. Droegehorn is leading now the competence centre for "Mobile Middleware" within the chair for communication technology. Dr. Droegehorn has EC and international project experience since 1999 and is now the main contact in the 6th Framework Program of the EC and within WWRF (Wireless World Research Forum) / WWI (Wireless World Initiative) for the University of Kassel. He is the co-chair of the international conference Internet Computing (IComp, since 2002), held in the USA. Dr M.D. R-Moreno has a PhD in Computer Sciences by the Universidad de Alcala (UAH) in Madrid (Spain) with the distinction of the European Doctorate (the thesis was written and defended in English under an European committee). She has been the subdirector of the Computer Sciences School at the UAH. Dr. R-Moreno has participated in several research projects funded by European Union and the Spanish government. She has performed several visits to different international centres such as British Telecom Adastral Park in U.K, CNR in Rome or NASA Ames Research Centre in USA. Dr. R-Moreno has over 40 publications in International Conferences, books and journals in computer sciences and engineering areas. G.Ganesan has been an Associate Professor of Mathematics in the Department of Humanities and Sciences in Jayaprakash Narayan College of Engineering, Mahabubnagar, India, from August' 04 - till date. He has worked as Assistant Professor in Mathematics in the Department of Humanities and Sciences in Jayaprakash Narayan College of Engineering, Mahabubnagar for 5 years and 9 months [from November' 98 to July' 04]. His topics of research include: Rough Sets; Fuzzy Sets; Fuzzy Logic. Dipartimento di Ingegneria Elettronica, University of Rome "Tor Vergata". Senior Lecturer in the Department of Electronic and Electrical Engineering at Loughborough University, U.K.